The final day of the 7 day 7 Free Sample Packs series. 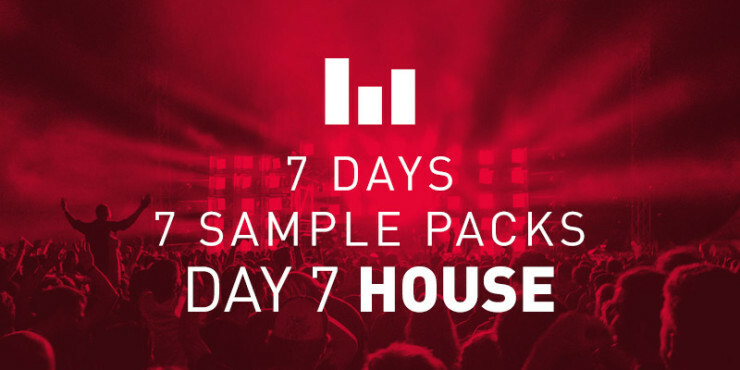 Day 7 is a free House sample pack with over 50 House drum samples and House drum loops for you to download. This sample pack includes House kick drums, EDM kick drums, House snare drums, EDM snares, House claps, EDM claps, EDM drum loops and effects. This sample pack would suit producers looking for a Tiësto sample pack, Skrillex sample pack, Steve Aoki sample pack, Major Lazer sample pack, Martin Garrix sample packs and DJ Snake sample packs. Whats does this Free House Sample Pack include? Download over 300 samples in this series here. It includes free EDM sample packs, free Grime sample packs, free Trap sample packs and more. Subscribe to us on Youtube for free, new and exclusive beats and sample packs every week.